BA CityFlyer E190 G-LCYW BA7304 London Southend Diversion. BA CityFlyer Embraer 190 G-LCYW operating BA7304 Milan Linate – London City diverted via London Southend this evening due to congestion at London City following an earlier runway closure. BA CityFlyer Embraer 170 G-LCYI positioned London City – Amsterdam early this afternoon as BA9750. Air Belgium A340-300 OO-ABA Positioning Flight. Air Belgium A340-300 OO-ABA positioned London Heathrow – Brussels under an Air Belgium callsign this morning to end its British Airways lease. Air Belgium A340-300 OO-ABB operated the BA185/BA184 London Heathrow – Newark rotation this morning. The aircraft had arrived into London Heathrow from Amman late last night. Air Belgium A340-300 OO-ABA Operates for British Airways. Air Belgium A340-300 OO-ABA operated the BA185/BA184 London Heathrow – Newark rotation this morning. 22/04/19 British Airways Flight Cancellations. BA3295 London City – Munich. British Airways A321neo G-NEOS Returns from Larnaca. Following the lightning strike it encountered yesterday, British Airways A321neo G-NEOS departed Larnaca early this afternoon operating yesterday’s delayed BA665 Larnaca – London Heathrow as BA665D. British Airways A319 G-DBCG Operates Gatwick – Grenoble Charter. British Airways A319 G-DBCG operated a London Gatwick – Grenoble charter rotation this morning as BA8600/BA8601. British Airways A319 G-DBCB Operates Gatwick – Friedrichshafen Charter. British Airways A319 G-DBCB operated a London Gatwick – Friedrichshafen charter rotation this morning as BA8620/BA8621. British Airways A320 G-GATU Positions for Grenoble – Gatwick Charter. British Airways A320 G-GATU positioned London Gatwick – Grenoble as BA9255 this morning in order to operate a Grenoble – London Gatwick charter as BA8689. BA CityFlyer E190 G-LCYP Operates Edinburgh – Chambery Charter. BA CityFlyer Embraer 190 G-LCYR operated an Edinburgh – Chambery charter rotation early this afternoon as BA4507/BA4508. British Airways A320 G-GATM Operates Gatwick – Grenoble Charters. British Airways A320 G-GATM operated a London Gatwick – Grenoble charter rotation early this morning as BA8614/BA8615 and a second rotation late in the morning as BA8616/BA8617. 21/04/19 British Airways Flight Cancellations. BA287/BA286 London Heathrow – San Francisco. British Airways Boeing 747-436 G-CIVL, which has been under maintenance at Cardiff-Wales since 29th March, positioned Cardiff-Wales – London Heathrow late this afternoon as BA9171. The Economy and Premium Economy cabins have had their seats refurbished and re-covered but the aircraft has not had new IFE fitted. British Airways A319 G-DBCE operated a London Gatwick – Grenoble charter rotation this afternoon as BA8608/BA8609. British Airways A320 G-EUYO Returns from Prestwick Maintenance. British Airways A320SL G-EUYO, which has been under maintenance at Prestwick since 3rd April, positioned Prestwick – London Heathrow this afternoon as BA9279. The aircraft has been reconfigured from CY168 Pinnacle to CY180. British Airways A321neo G-NEOS Larnaca Lightning Strike. British Airways A321neo G-NEOS operated BA664 London Heathrow - Larnaca encountered a lightning strike on approach this afternoon causing the return BA665 to be delayed overnight. British Airways A320 G-EUYR Positions to Prestwick Maintenance. British Airways A320SL G-EUYR positioned London Heathrow -Prestwick early this afternoon as BA9278. British Airways B747-400 G-CIVR Positions to Cardiff Maintenance. British Airways Boeing 747-436 G-CIVR positioned London Heathrow – Cardiff-Wales for maintenance early this afternoon as BA9170. British Airways B747-400 G-CIVK Operates Delayed Cape Town Service. British Airways Boeing 747-436 G-CIVK operated yesterday's delayed BA59/BA58 London Heathrow - Cape Town late this morning as BA59D/BA58L. British Airways A320 G-MIDS Switches to Heathrow Base. British Airways A319 G-DBCF Operates Gatwick – Salzburg Charter. British Airways A319 G-DBCF operated a London Gatwick – Salzburg charter rotation this afternoon as BA8612/BA8613. British Airways A320 G-EUUC Switches to Gatwick Base. British Airways A320 G-EUUC overnighted at Glasgow after arriving as BA1498 from London Heathrow yesterday, then switched to London Gatwick operations this morning operating BA2953 Glasgow – London Gatwick. British Airways A320 G-GATM Operates Gatwick – Lyon Charter. British Airways A320 G-GATM operated a London Gatwick – Lyon charter rotation early this morning as BA8586/BA8587. British Airways A320 G-GATH operated a London Gatwick – Grenoble charter rotation early this morning as BA8618/BA8619. 20/04/19 British Airways Flight Cancellations. The following British Airways flights did not operate today: BA215/BA214 London Heathrow - Boston. BA CityFlyer E190 G-LCYU Returns from Warsaw Maintenance. BA CityFlyer Embraer 190 G-LCYU, which has been under maintenance at Warsaw since 11th April, positioned Warsaw - London City this evening as BA9770. WDL Aviation BAe146-200 D-AZFR Operates for BA CityFlyer. WDL Aviation BAe146-200 D-AZFR operated BA3274 Dusseldorf - London City this afternoon then positioned London City - Cologne-Bonn as BA9750 to end its lease. 19/04/19 British Airways Flight Cancellations. The following British Airways flights did not operate today: BA99/BA98 London Heathrow - Toronto BA227/BA226 London Heathrow - Atlanta. British Airways A320 G-MIDS BA2598 Bologna Diversion. British Airways A320 G-MIDS operating BA2598 London Gatwick – Verona diverted via Bologna this evening due to airport facilities being unavailable at Verona. British Airways A320 G-EUUS Returns from Keflavik. Following the technical issue it encountered on 16th April, British Airways A320 G-EUUS positioned Keflavik - London Heathrow this afternoon as BA9271. British Airways B787-9 G-ZBKD BA139 Munich Medical Diversion. British Airways Boeing 787-9 G-ZBKD operating BA139 London Heathrow – Mumbai diverted via Munich early this afternoon due to a medical emergency on board. British Airways A321neo G-NEOP Returns from Athens. Following the technical issue it encountered yesterday, British Airways A321neo G-NEOP positioned Athens - London Heathrow early this afternoon as BA9274. British Airways Boeing 747-436 G-BYGC, which has been under maintenance at London Heathrow since 10th April, returned to service this morning operating BA173 London Heathrow - New York JFK. British Airways B777-200ER G-VIIM Operates Lisbon Rotation. British Airways Boeing 777-236ER G-VIIM operated the BA500/BA501 London Heathrow - Lisbon rotation this morning due to fuel supply problems at Lisbon. 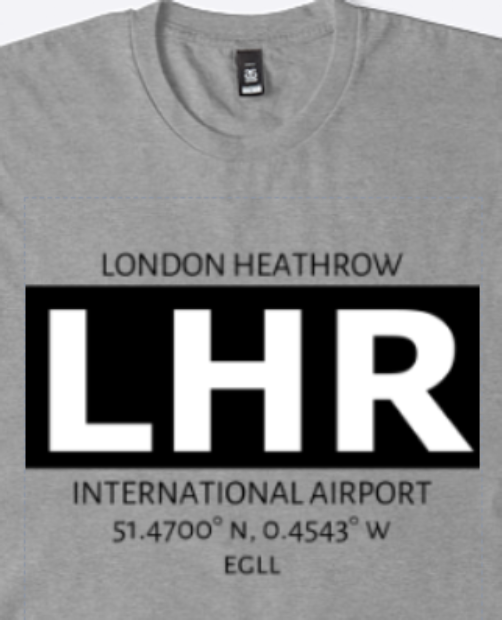 The aircraft was fuelled for both sectors at London Heathrow. British Airways A318 G-EUNA BA2 London Gatwick Diversion. British Airways A318 G-EUNA operating BA2 New York JFK – London City (depart New York JFK 17th April) diverted to London Gatwick this morning due to weather at London City. The aircraft later positioned London Gatwick – London City as BA9253. British Airways A320 G-EUUT Positions to Glasgow Maintenance. British Airways A320 G-EUUT positioned London Heathrow - Glasgow for maintenance this evening as BA9272. BA CityFlyer E190 G-LCYR Positions to Warsaw Maintenance. BA CityFlyer Embraer 190 G-LCYR positioned London City - Warsaw for maintenance this evening as BA9769. British Airways B787-9 G-ZBKJ Returns from Cardiff Maintenance. British Airways Boeing 787-9 G-ZBKJ, which has been under maintenance at Cardiff-Wales since 8th April, positioned Cardiff-Wales - London Heathrow early this evening as BA9171. BA CityFlyer E190 G-LCYX Dublin Crew Cancellation. WDL Aviation BAe146-200 D-AZFR Positions for BA CityFlyer Operations. WDL Aviation BAe146-200 D-AZFR positioned Cologne-Bonn - London City as BA9750 this afternoon in order to operate the following BA CityFlyer services: BA3275/BA3276 London City - Dusseldorf BA3277 London City - Dusseldorf. British Airways A321 G-MEDL BA890 Bucharest Diversion. British Airways A321 G-MEDL operating BA890 London Heathrow - Sofia diverted via Bucharest early this afternoon. British Airways B787-9 G-ZBKK Positions to Cardiff Maintenance. British Airways Boeing 787-9 G-ZBKK positioned London Heathrow – Cardiff-Wales for maintenance early this afternoon as BA9170. British Airways A319 G-DBCJ Switches to Heathrow Operations. British Airways A319 G-DBCJ overnighted at Glasgow after arriving as BA2968 from London Gatwick yesterday, then switched to London Heathrow operations this morning operating BA1475 Glasgow - London Heathrow. We couldn’t keep this site online without our fabulous Jet Sponsors.